We compared the top two nail clipper brands on the market to help you decide on a set that will perform and last. After hours of research, surveying, and testing, the Seki Edge nail clippers came out on top as the best nail clippers. A common task on our monthly grooming checklists include trimming our nails. Establishing a good personal hygiene routine is an important part of life that can help reduce the risk of multiple health conditions. Alongside a good personal hygiene routine are the products we use to help us achieve that. Nail clipper patents started in 1875, but it is unclear on who invented the modern nail clipper. Before modern nail clippers, different methods of trimming nails included knives, biting, and other specialty tools. Lucky for us, we have modern stainless steel nail clippers that can get the job done quickly. To find out which two nail clipper brands to compare, we searched through reviews on various online retail sites. The two brands that were consistently praised were Seki Edge and Harperton. Both received great ratings from consumers, so we decided to put those ratings to the test. ERGONOMIC: Unique handle design allows the nail clippers to cradle fingers, making it easy to control and delivering a more confident clip every time. EFFORTLESS: Hand-sharpened stainless steel blades cut thick nails smoothly and easily with no need for filing, preventing nail splitting and the toenails. GUARANTEED: Comes with industry leading 100% Satisfaction Guarantee and Lifetime Replacement Warranty means your purchase is protected by Amazon and backed by Harperton. Seki Edge nail clippers will cost about $16 and what you see is what you get. They don’t come with any built in features or fancy carrying pouch, they are just plain old nail clippers. Harperton nail clippers will cost about $15 and come in a set of two. 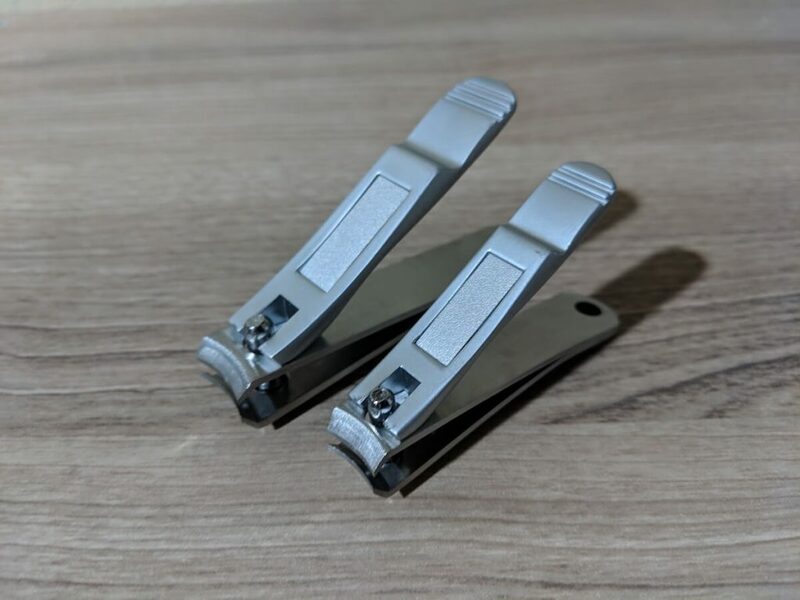 A pair for your fingernails (smaller clippers) and a pair for your toenails (larger clippers). 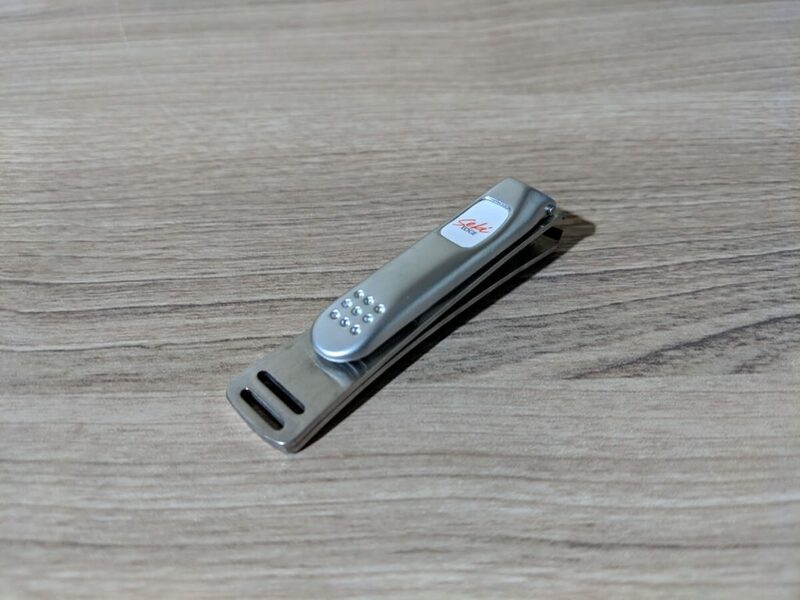 Both the fingernail clippers and toenail clippers have a small built in nail file board as well – a super nice add on to have. Additionally, they come with a carrying case, something that the Seki Edge lacks. Obviously one of the most important factors of choosing a quality nail clipper is the ease of cutting. With cheaper nail clippers, the blades tend to be misaligned and somewhat dull. To test the cutting ability of the two clippers, we had 12 participants use both for a few months (don’t worry, we gave everyone their own pair). We also used the clippers to cut items like plastic rewards cards and coasters of different thicknesses. Between the Seki Edge and Harperton nail clippers, the Seki Edge came out on top when it came to its cutting abilities. This can be attributed to the ergonomic longer body (which provides enhanced leverage over the Harperton) and sharper blades of the Seki Edge. Test participants stated that the Seki Edge clippers felt effortless when trimming their nails. On the other hand, the Harperton clippers were solid, but took a little bit more force to use. Spending more than $10 on a pair of nail clippers may seem off putting, given that a pair can be found at the dollar store. But what makes quality nail clippers an overall better purchase than inexpensive options is their ability to last a lifetime. After months of use in dry and a few wet conditions, both pairs held up very well, basically like new. No rusting was observed and the blades stayed sharp with minimal dulling. Additionally, both the Seki Edge and Harperton nail clippers are backed by lifetime warranties. So in the case that either were to experience any issues, they can be replaced. Note: We will continue to monitor both of these and update on any rusting or breaking. Because of their ease of cutting, the Seki Edge clippers is our choice for the best nail clippers. Although the Harperton clippers came with two pairs and built in nail filers, the cutting ability of the Seki Edge kept drawing us back for more. Cutting your nails sounds like an easy task, but we have a few tips to make sure your hands and feet look like you took a trip to the nail salon. Cutting your nails too close can cause tears in your finger under the nail. We all know the feeling of cutting too much of our nail and exposing the sensitive area underneath. A good reference when cutting your nails is to leave a sliver of lunula (the white part of your nail). Do not cut your nails straight across, and instead cut them at a slight angle. If you clip straight across, the nail can bend and become damaged. You also don’t want to cut at too much of an angle, which can cause an ingrown nail. Use an emery board to smooth jagged edges after cutting your nails. An emery board is a great purchase, since built in nail filers are no match because of the emery board’s larger abrasive area. With a quality nail cutter like the Seki Edge, filing your nails will be an easier task due to the smoother cuts. Nail clippers come in contact with the grime underneath our fingernails. To make sure the clippers stay clean, disinfect them with rubbing alcohol often. 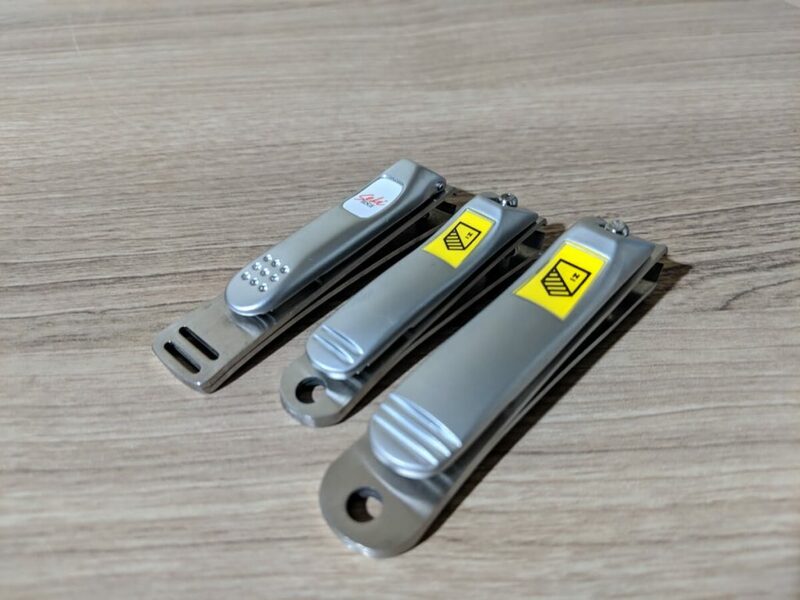 With premium nail clippers, they should be stored properly in a case or something similar so they don’t bang around other items. This will help avoid any damage to the clippers or surrounding items and keep them top-notch for a longer period of time. 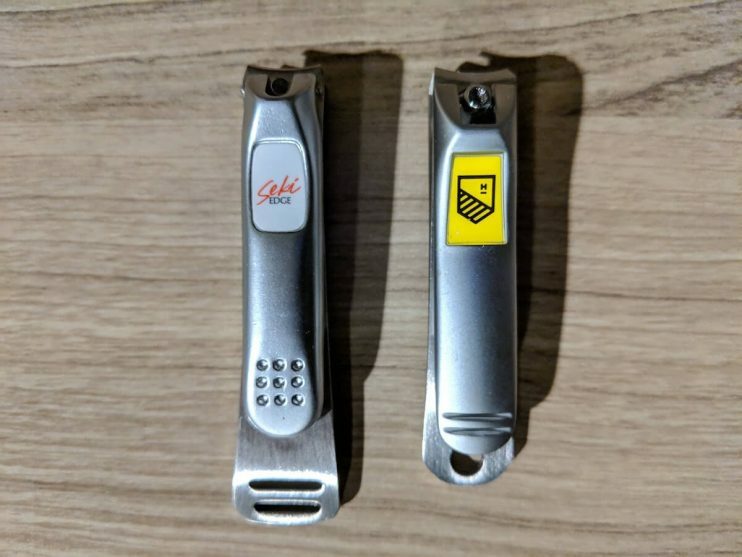 If you are looking for a pair of nail clippers that will get the job done in a snap with a lifetime warranty, the Seki Edge nail clippers are the perfect choice for you. The long body gives them more leverage to cut both your fingernails and toenails effortlessly. 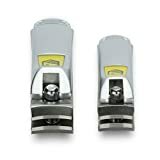 They will be the last pair of nail clippers you buy, and you won’t want it any other way!